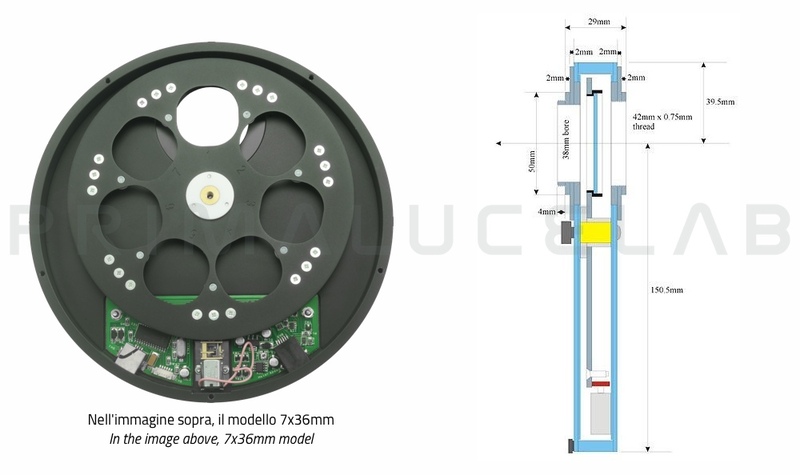 Starlight Xpress motorized filter wheel USB is a thin accessory that allow to insert up to 7 31.8mm filters. It does not require a separate power supply when used with USB control - the high performance DC gearmotor runs entirely from the USB supply and consumes less than 100mA. It comes with easily removable adaptors and it's perfect for the use together with Super-Slim OAG since the filter wheel is only 25mm thick (+ 2mm for each adaptor). Model with T2 male thread on camera side, T2 female thread on telescope side. 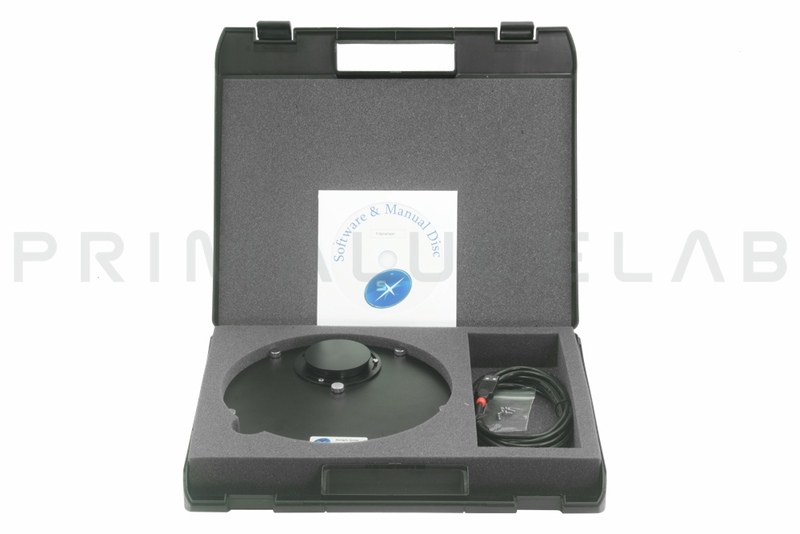 The Starlight Xpress motorized filter wheel USB is light and slim, with an easy change system of thumbscrews to swap filter disks without tools. A variety of threaded adaptors is available - T thread, SCT thread and Takahashi 72mm thread at the moment. The adaptors can be swapped by using a small screwdriver to release three stainless screws and lifting off the adaptor flange. Each flange can be rotated to any angle before locking down, so that you can orient the wheel and camera into the optimum position.